Prince Edward Theatre Showing Miss Saigon london. The stunning Prince Edward Theatre is currently running the multiaward winning London show Miss Saigon! The hugely acclaimed London show is making a return to London Westend after 15 years. The show ran with successful 4000 performances at the Theatre Royal and was also a huge success at Broadway. The show is set against the unsettled backdrop of Vietnam War where love blossoms between an American GI and a Vietnamese bar girl. The heart touching love saga’s original star cast was Jonathan Pryce and Lea Salonga who went on winning prestigious Olivier and Tony awards for their outstanding performances. Miss Saigon is all set to open at the magnificent Prince Edward Theatre. The stunning theatre is located at 28, Old Compton Street, London, W1D 4HS. Positioned in the busy area of Soho, an Old Compton Street, Prince Edward Theatre is located close to some of the famous tourist spots such as Leicester Square, Piccadilly Circus and Covent Garden. The theatre is located amidst shops, Bars and restaurants. Thus, it is a great place to visit with family and friends. Prince Edward Theatre is accessible via various modes of commutations such as buses, taxis, cars and tubes. 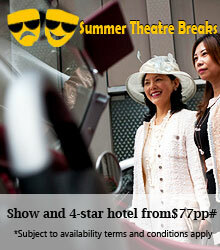 You can also visit the theatre via bus route 14, 19 and 38. Theatre has an astounding occupancy of 1618 and spread all across three levels into Stall, Dress Circle and Upper Circle. Stalls are very large and can easily accommodate maximum people inside the theatre. For those who are looking for a better viewing of the stage can opt for stalls. It has considerable price range due to vast seating area. If you are looking for best seats then must go for the central seats in the middle of the Stalls. The level which is hanging just above the stalls is Dress Circle, whereas Upper Circle is the highest seating area at the Prince Edward Theatre. 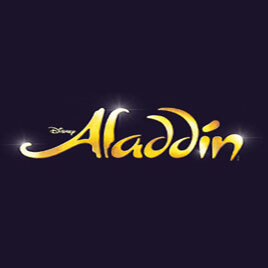 For both the disabled patrons and their carers, Prince Edward Theatre offers discounted seats. The auditorium is equipped with infra-red system. In the year 1930, Prince Edward Theatre made its debut. Edward Stone designed the magnificent theatre. He was the man behind the designing of Piccadilly Theatre also. The Grade II listed building has occupancy of 1618 per performance. Rio Rita, the musical comedy was the first production of the theatre which failed to create a stir. This led to transformation of theatre into a Casino in the year 1936 after several flop productions. The venue became famous for varied entertainment activities such as cabaret. Theatre underwent transformation as Queensberry All Services Club during the WWII, where armed forces were entertained by stars such as Glenn Miller and Vera Lynn. After the war, theatre was once again transformed into a Casino and later into cinema in the year 1954. In the year 1978, Prince Edward Theatre started its productions like Evita, Crazy For You, Some Like It Hot and West Side Story. The original production of Mamma Mia! Made its debut at Prince Edward Theatre and ran for five years followed by Mary Poppins and Jersey Boys. The success saga of Prince Edward Theatre is continuing with the brand new musical Miss Saigon now!